Despicable Me Large Light & Sound Fluffy Unicorn | Minion Shop. From Despicable Me 3, here you have the famous unicorn Fluffy! 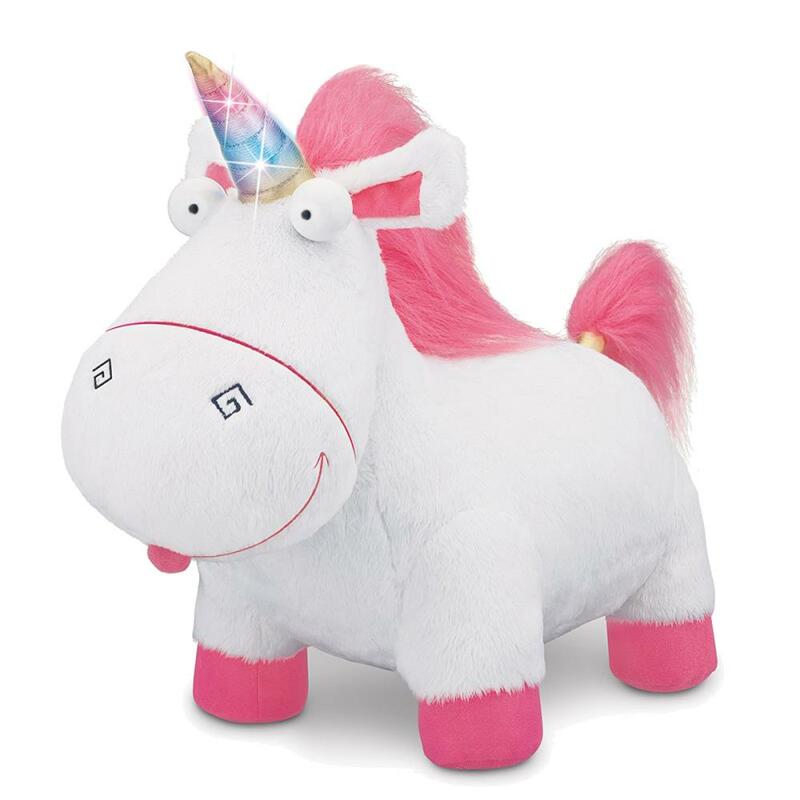 Your favourite super soft, jumbo sized cuddly unicorn lights up with awesome sound effects. Press Fluffy's left leg to hear the sound effects and watch as it's horn lights up!